This is a show I’m having trouble letting go of even a day later. I wasn’t prepared, I guess. I had heard BUYER AND CELLAR was a really funny show about a guy left in charge of Barbara Streisand’s collection of souvenirs. I was expecting light comedy; instead I found myself deeply moved by this fascinating piece of drama. Nick Cearley, a local boy made good, stars as Alex More. Alex is gay, an actor, and struggling. He is given an opportunity to work for Ms. Streisand in an unconventional role . . . and I won’t give anything away but it is hilarious, preposterous, and quite possibly the most emotionally stirring thing I’ve seen in some time. As Alex and “the lady of the house” develop a relationship, I found myself overwhelmed with sadness. Interestingly paralleled is the lonely existence of Alex’s job in the cellar along side the isolation fame brings with it. I’m tearing up writing this review right now, actually, just thinking about how lonely stardom can be. The script by Jonathan Tolins is awe-inspiring. It’s smart, witty, very funny . . . and again unexpectedly insightful. Its actually quite brilliant – and for me, at least, heart-wrenching. Cearley’s performance is pitch-perfect, understated but not boring, full of energy but not frenetic. I can’t say enough good things about his timing, his presence, and the level of connection I felt with him. You can feel the genuine warmth of director D. Lynn Myers at work behind the scenes, keeping the pace, allowing her actor his freedom, but gently guiding him along throughout the 110 minute monologue. This play is a work of art. I don’t expect that any of the other reviewers in town will have the same personal, emotional reaction to this show. Maybe? I doubt many other audience members will either. I mean, it’s not dark or dreary in anyway and its really not all that sad. 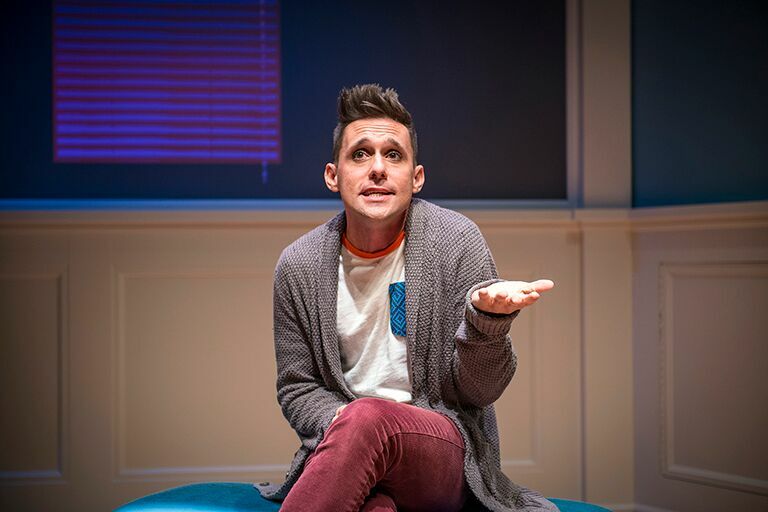 But for me, BUYER AND CELLAR is as deep and thoughtful and even as haunting a show as I’ve seen in some time. Ensemble Theatre of Cincinnati typically brings challenging and provocative plays to its stage. And its done it again – even in what I thought was going to be a fluffy comedy about Barbara Streisand. Go see it. BUYER AND CELLAR runs through November 1st at Ensemble Theatre of Cincinnati. DO NOT MISS THIS ONE.